This day is designed to assist those younger members of the family obtain an insight in to this magnificent sport. 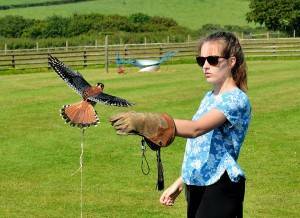 As a junior falconer you will work along side our falconer and other members of the team. 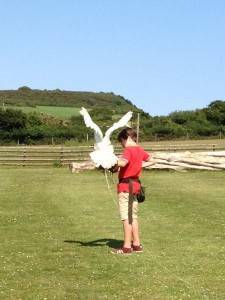 you will meet our birds and learn how to safely pick them up and tether them. During your day you will assist with all aspects of looking after the birds, cleaning, training, equipping, feeding and flying. you will learn the importance of proper weight management and adequate diet. 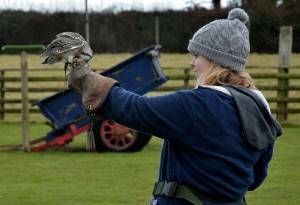 5 day hawk management course / beginning falconer award and assessment at a later date. 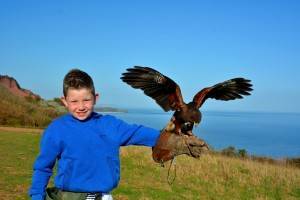 Junior falconers will need to be accompanied by a parent or guardian.